← Captain to Face Leeds United? 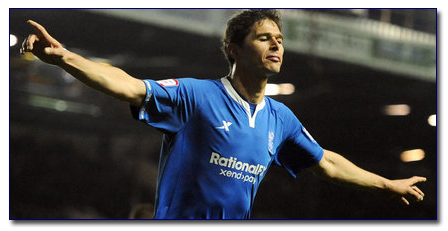 Birmingham City thrashed Leeds United 4-1 at Elland Road as Nikola Zigic grabs all four goals to extend Blues’ unbeaten run to 10 games. With the game evenly matched at 1-1 at half time, the Serbian international scored three times in seven, second half minutes to earn Birmingham all three points and push them up to fourth in the Championship table. Zigic becomes the first player since Kenny Burns in 1976 (against Derby County), to score four goals in one game wearing the Royal Blue of Birmingham City. This entry was posted in BCFC News and tagged bcfc, birmingham city football club, birmingham city players, championship league table, leeds united, nikola zigic. Bookmark the permalink.